Wohhoooooo! 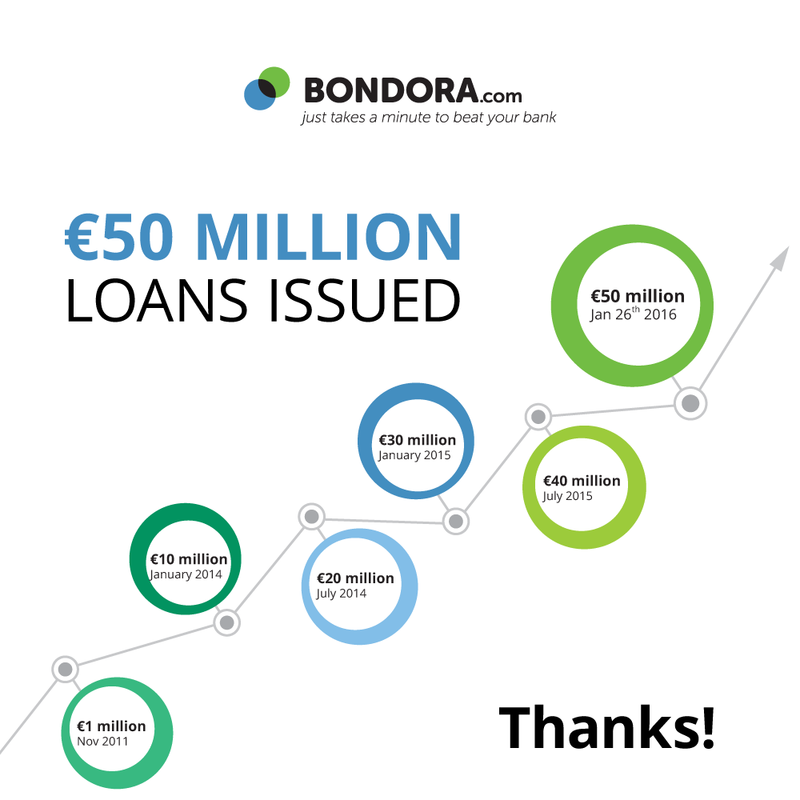 We hit a big Bondora milestone yesterday – €50 million loans have been issued and funded by our growing base of 12,628 investors. This is a really gratifying moment for us and it shows that our investors see Bondora as a global and innovative platform to grow their investment capital. We just wanted to take this moment to say Thank You! We spend all of our time here trying to build the best possible product that enables our investors to benefit from higher yield opportunities that may not exist in their home country. We are able to provide investors with a diverse set of loans from multiple countries, durations and risk classes. So, the fact that we are growing so quickly is very rewarding and we are humbled by the trust given to us. Thanks for all your support and stay tuned for more great things ahead!